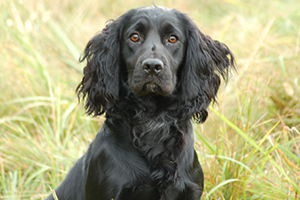 Shogun’s Retha, a beautiful Springer, earned her AKC Master title in the Spaniel Hunt Test program. She presently has one led toward her Master Advanced title. Shogun’s Reba completed 4 series at the National Cocker Championship in Michigan. She also took a 3rd place and the guns award in New York. Shogun’s Skeeter took a second and won the guns award in Maine and took a 3rd in Ohio. This is a powerful Beetle son. At only two years of age, 2 Beetle/Reba litter mates have won an Open Stake Cocker Trial!!!. Starting with Chester, owned by Vickie Dahlk, Mary Lou Dunn and me won in Wisconsin and Tolo owned by Jean-Marie Tate and handled by Mike Ludwig won in Ohio. Beetle has left his mark! From the show side, Shogun’s Mia has won her show Championship…and she is not even two years old. Mia is now concentrating on her field work and show good promise.